RoadRunner Towing & Recovery was founded over 40 years ago by James Smart. Starting with only one truck and his wife Judy by his side, humble beginnings developed into a corporation with over 40 employees and a fleet of 15 recovery trucks. RoadRunner Towing & Recovery is known to be the most efficient dispatching system in city of Baton Rouge, East Baton Rouge Parish and the state of Louisiana. Our participation allows us to be intimately involved in the developments and happenings around the greater metro-Baton Rouge area. Our ability to offer viable solutions to meet community needs sets us apart in the industry. We stay actively involved in our community and show support through volunteering, donations, community cleanups and other civic activities. 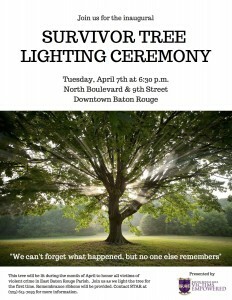 Knowing the specific needs of our area, we’ve proudly had the opportunity to create a non profit organization, Baton Rouge Area Victims Empowered and fund the Survivor Tree Lighting. We’re proud to call Baton Rouge our home and are blessed to be able to help make it a better place for all! View our Community Involvement GALLERY. 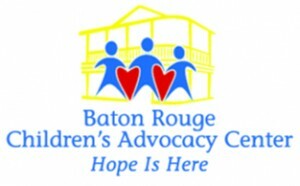 Founded: Baton Rouge Area Victims Empowered, INC. a non-profit 501c3. Dedicated to making a difference in the lives of victims of crime. Our support continues working closely with other charitable organizations!